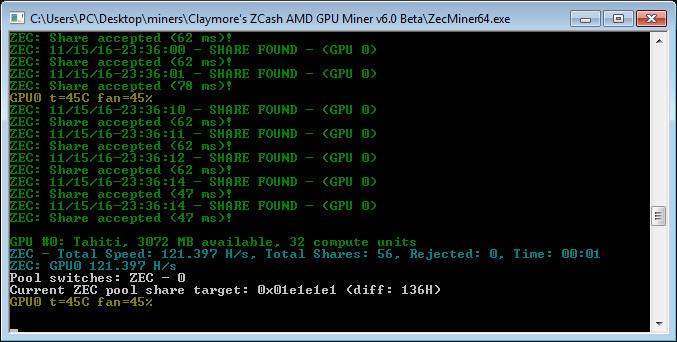 Claymore has just released his new miner targeted at Zcash (ZEC) miners and only for Windows at the moment, probably making it the fastest AMD OpenCL GPU miner at the moment for Windows OS. Do note that the miner is free, but there is currently a developer fee set at 2.5%, meaning that every hour the miner mines for 90 seconds for developer. 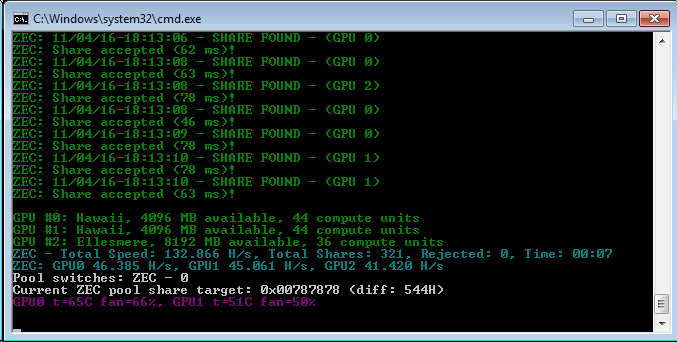 According to Claymore this initial release is only for recent AMD video cards only: 7xxx, 2xx, 3xx and 4xx, 2GB or more and it does not support Nvidia GPUs with only Windows x64 binaries available at the moment for download.